With our Insective products, monitoring or catching insects will be a lot easier. Our products are made to provide you with the protection against insects. To see and read more information about our products and new developments also watch info via our social media channels. With our innovative designs, the traps are recommended for use in homes, offices, shops and restaurants. Once these insects enter the unit, they are effectively controlled. Designed to catch and/or monitoring your insect problem. The high performance of the Insective product range gives you a good value for money. 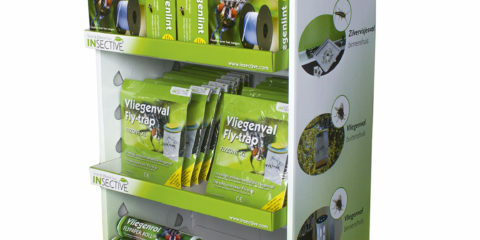 Displays The ultimate display to promote and sell the Insective Products in your store. 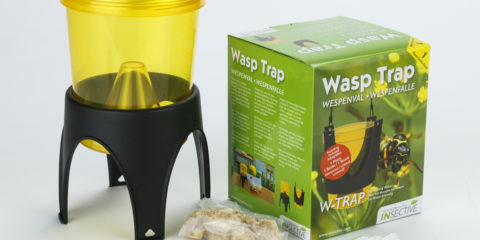 ..
New in the Insective range Wasp-trap. .. Copyright © 2017 Insective. A product of Alcochem Hygiene. The Netherlands.